Registration for the third Democracy Convention is now open! Democracy Convention 2017 is taking place August 2 - 6, at the University of Minnesota Twin Cities. This year's theme is "Universalizing Resistance, Democratizing Power!" *Reserve your spot before April 1 and receive a t-shirt at the convention! More than one conference, the Democracy Convention houses ten conferences under one roof. With the Democracy Convention, we recognize the importance of each of these separate democracy struggles, as well as the need to unite them all in a common, deeply rooted, broad based, movement for democracy. Alliance for Democracy, Alliance for Global Justice, Campaign for Economic Democracy, Education United, Fair Vote, Global Climate Convergence, Liberty Tree Foundation, Massachusetts Global Action, Move to Amend, Poor Peoples Economic Human Rights Campaign, World Beyond War. 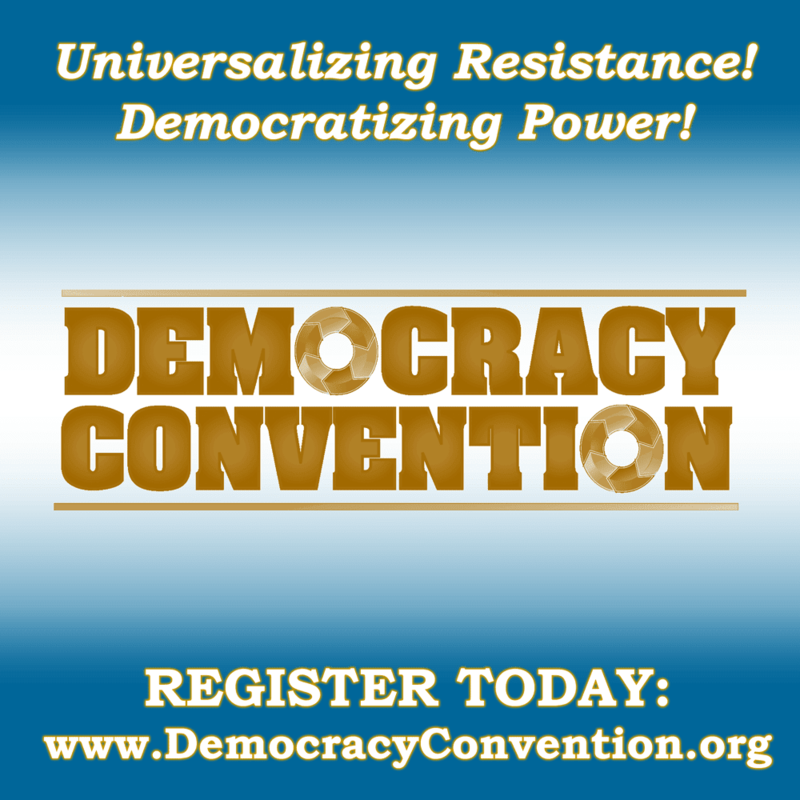 The Democracy Convention is now taking reservations for on-campus lodging and dining August 2 - August 6 at the University of Minnesota, Minneapolis. Campus lodging and dining options are a low-cost, convenient way to ensure all of your needs are met on campus while attending the Convention.